The Tatras mountains form the border between Slovakia and Poland, with many peaks around 2500m. The area generally sees better snow conditions at lower altitudes than in the Alps, due to the effect of the Eastern European anti-cyclonic system that dominates in winter, creating a cold airmass over the Tatra. 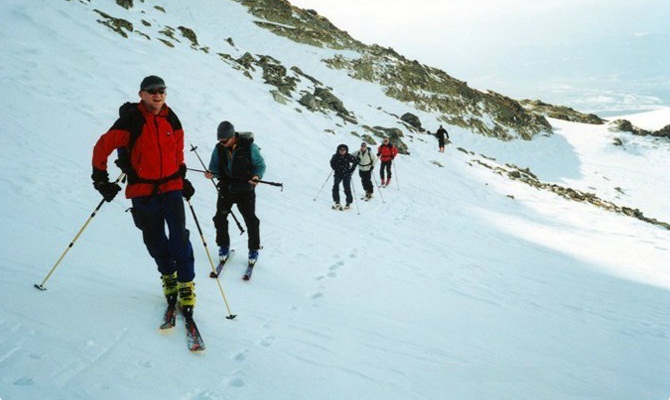 Among the most popular ski touring peaks are Goat Peak 2116m, and the Zeruchova Tower 2080m. Both these summits are reached in the final sections using crampons and ice axes, before the long ski all the way back down to the valley floor. 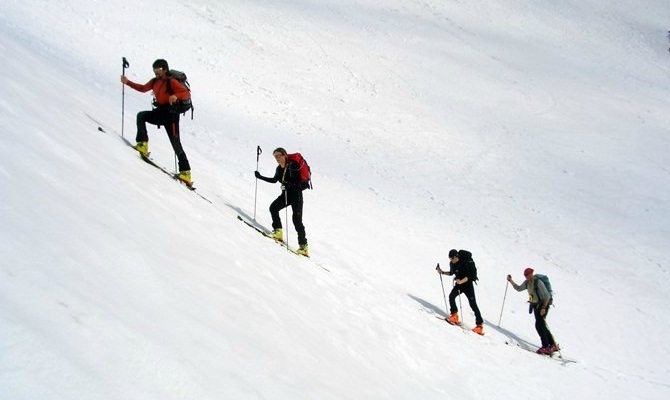 This ski tour is guided by a local Slovakian IFMGA mountain and ski guide, who works for Icicle in the Alps during the summer. The guide is a real expert in the region. During the week you ski tour from hut to hut, staying in mountain huts along the way. The itineraries are for guidance, but should give an idea of what you can achieve during the week. Each week this course runs slightly differently to cater for your preferences, the conditions, and where the best weather and snow is to be found. This flexibility allows you to have the course tailored to your needs. 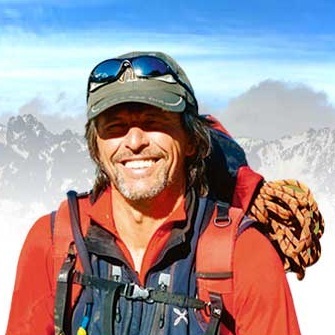 This trip is lead by Ervin (see photo below), who is an IFMGA mountain and ski guide. He has worked with Icicle for over a decade, and spends most summers in the Alps. 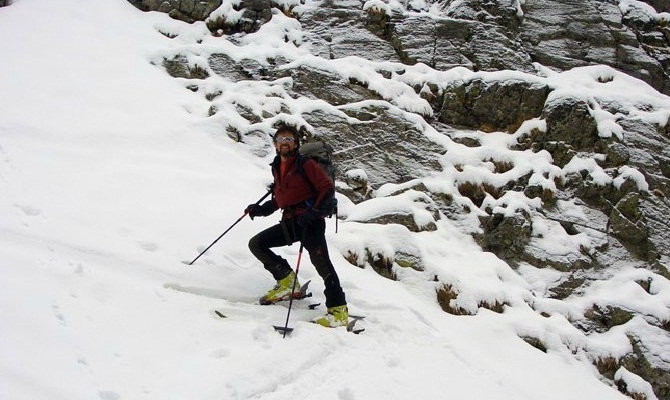 Ervin is a keen ski tourer and has a huge experience of high altitude climbing. Sunday - Travel to the Bratislava, and meet the rest of the group. 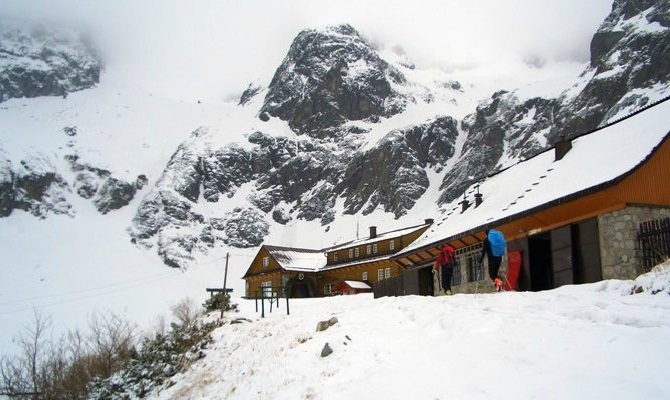 Transfer to the Tatras, where you spend the night on a half board basis in a local hotel. Monday - In the morning, the guide will make final kit checks, and brief you on the plan for the day. 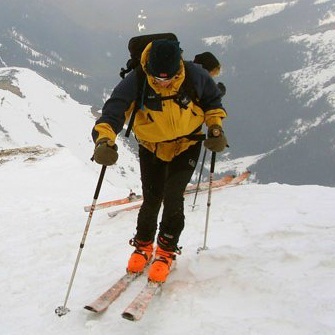 The first day is relatively easy, to allow you to get your ski legs back, and to practice with avalanche transceivers. The aim for the day is to skin up to the first hut, and to practice ski touring skills. Night in hut. Tuesday - An early start to take advantage of the best snow conditions. The objective of the day will be to skin up a fairly easy touring peak, to help you acclimatise, and to build up your skills more, before skiing down and across to the next hut on the tour. Night in hut. Wednesday - Today is normally the first of the major ski tour summits on the tour, so expect a longer day with a large height gain. The day starts with an early breakfast, and normally starting out skiing upwards in the light of your head torch, which is a magical and sensory experience. After reaching the summit, you traverse to reach the next hut, where you stay. Thursday - Another early start for another summit, possibly involving the use of ice axe and crampons to reach the summit. This will be one of the greatest challenges of the week, but the reward is obviously the longest ski descent to reach the final hut on the tour, where you spend the night. Friday - It's the final day, where you have a great day of ski touring to finish the traverse of the Tatra mountains, and then return to the valley where you started your tour. If your legs are still up for it, you could take in a final summit, or you could skin over the last high pass to enjoy the long ski down to the valley floor. Saturday - Breakfast in the hotel, then transfer to Bratislava, for your return flights home. Standard Course Inclusions: 1) IFMGA Mountain Guide(s) for five days, 2) Pre course information booklet, 3) Equipment discount voucher for UK shops, 4) Two nights half board accommodation in Tatra valley, Slovakia (inc. bedding & towels), 5) Five nights half board accommodation in mountain huts including three course cooked evening meals. 6) Free 36 page technical Course Instruction Booklet, 7) Transfers from Bratislava to Tatras. Exclusions: 1) Travel to and from Bratislava, Slovakia, 2) Cable Cars and valley transfers within the Tatras after the airport transfer (budget on £60), 3) Ski hire, 4) Personal laundry, telephone calls, lunches, & any purchases in mountain huts / hotels / restaurants, 5) Activities insurance, & excess baggage charges, 6) Saturday pre-dinner drinks & Friday celebratory meal & drinks. The trips all start in Bratislava in Slovakia, and the group meets at the airport, before the shared transfer to the Tatras.